Fluorescence techniques represent a powerful tool to investigate dynamic and functional architecture of GPCRs. Thus, fluorescent GPCR ligands have found various applications in cellular imaging, in the development of binding assays as replacements for radioligands in the study of ligand–receptor but also in receptor–receptor interactions at the cell surface or in native tissues. To extend the applicability of these techniques, the design and the synthesis of fluorescent probes are critical steps. 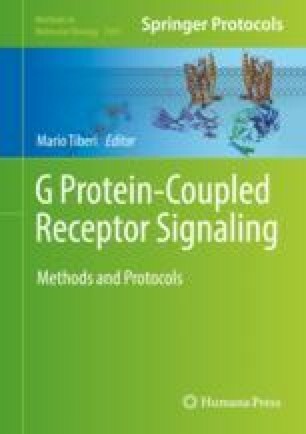 As there are numerous peptide receptors in the GPCR family, fluorescent peptide-based probes are of importance. Herein, we present a convenient method to facilitate the solution-phase fluorescent labeling of peptides which is based on the chemoselective acylation of α-hydrazinopeptides. This approach combines the advantages to use commercially available amine-reactive dyes and very mild conditions that are fully compatible with the chemical sensitivity of the dyes. It gives a rapid access to fluorescent peptidic probes compatible with the time-resolved fluorescence resonance energy transfer (TR-FRET) techniques. Sridévi M. Ramanoudjame and Lucie Esteoulle contributed equally to this work. The development of the method was supported by the Fonds Unique Interministériel (Cell2lead program n° F1005035J/ATFUAA00LB/AAP9), the Centre National de la Recherche Scientifique and the Université de Strasbourg. Sridévi M. Ramanoudjame and Lucie Esteoulle contributed equally to this work.